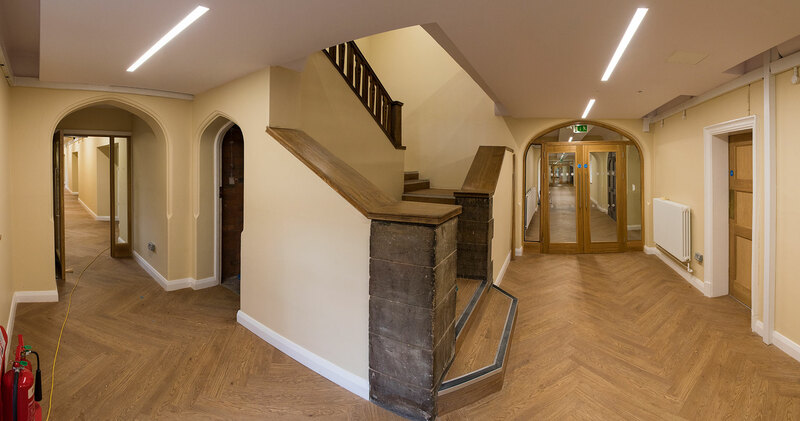 refurbishment of the library, which was reconfigured into a common room facility. 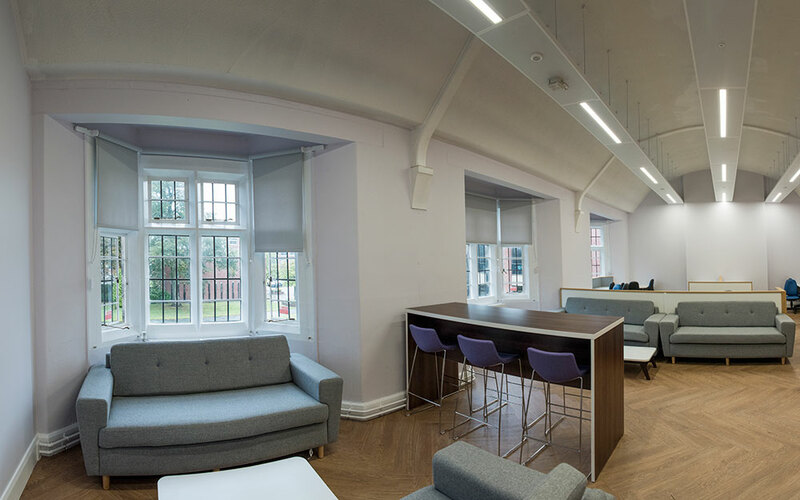 refurbishment of the Music room which was equipped with new IT facilities and new seating areas. first fix M&E works to all corridors. 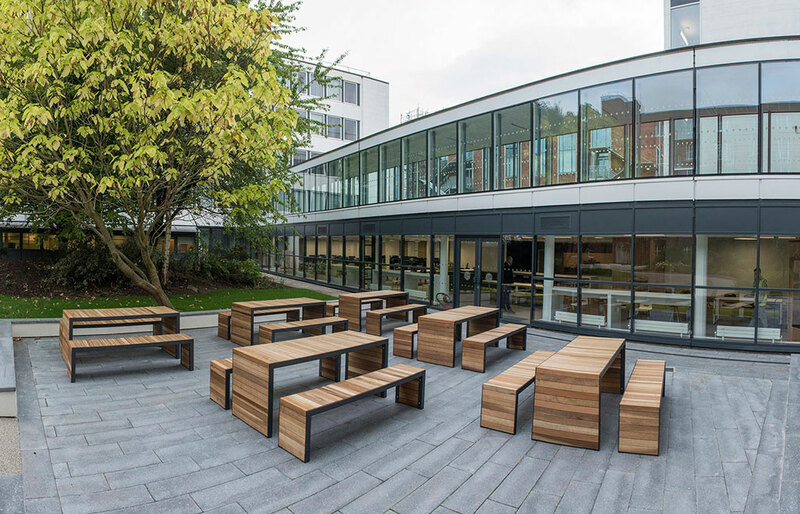 This phased scheme was completed over two consecutive summer periods in time for the new academic year. 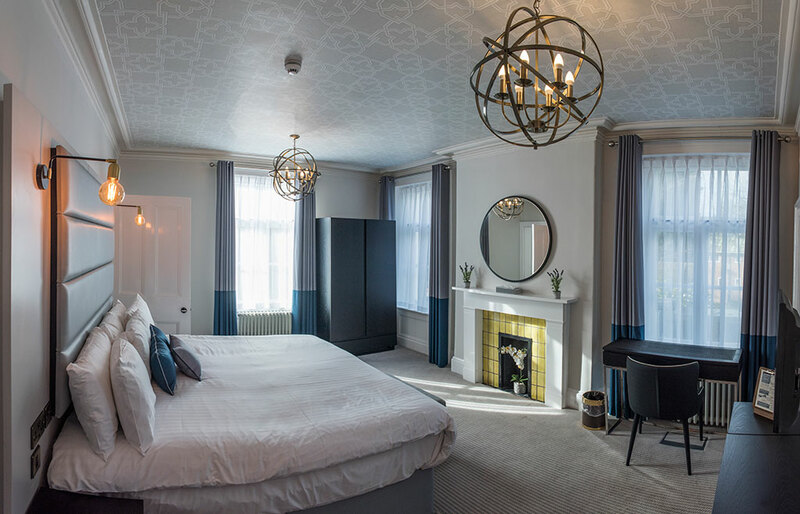 The demands governed by the listed status of the building allowed us to showcase our attention to detail and ability to sympathise with the building’s valued heritage. 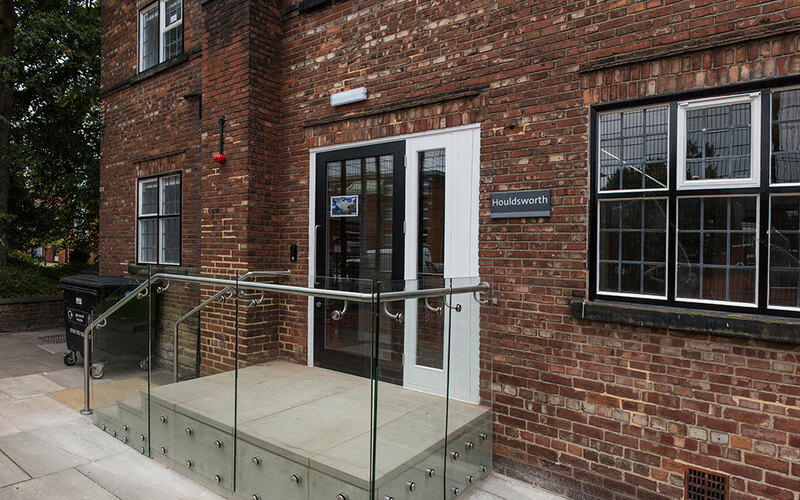 Retaining the original charm of the building was paramount on this project. 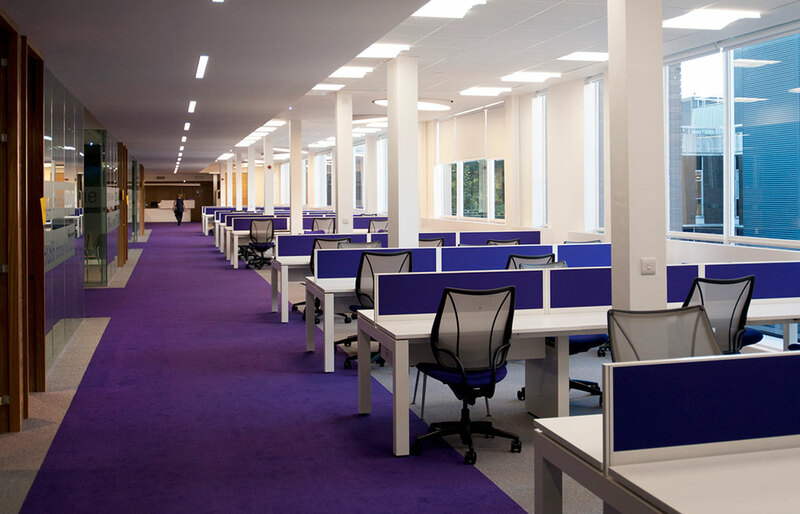 Precise programming and a rigorous quality procedure was executed on a room by room basis which we segregated into four zones making sequencing the works much easier. 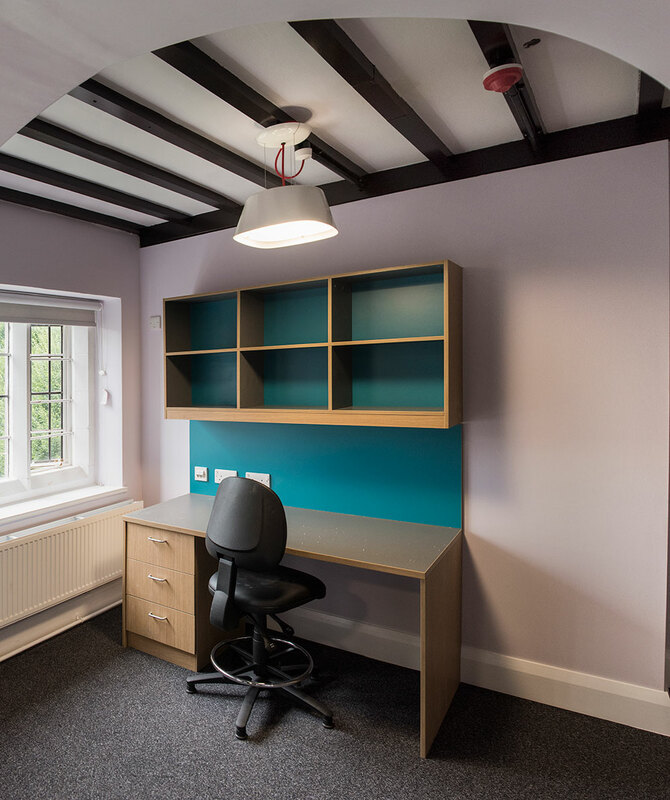 It was imperative that any snagging was undertaken during the works and not left until the end of the project due to students returning to their accommodation immediately after completion. 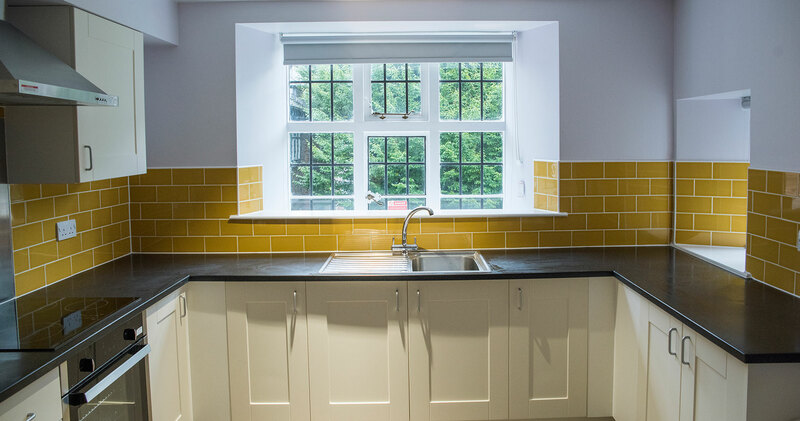 Although timing was critical we managed the programme with enough flexibility to accommodate our client’s needs. 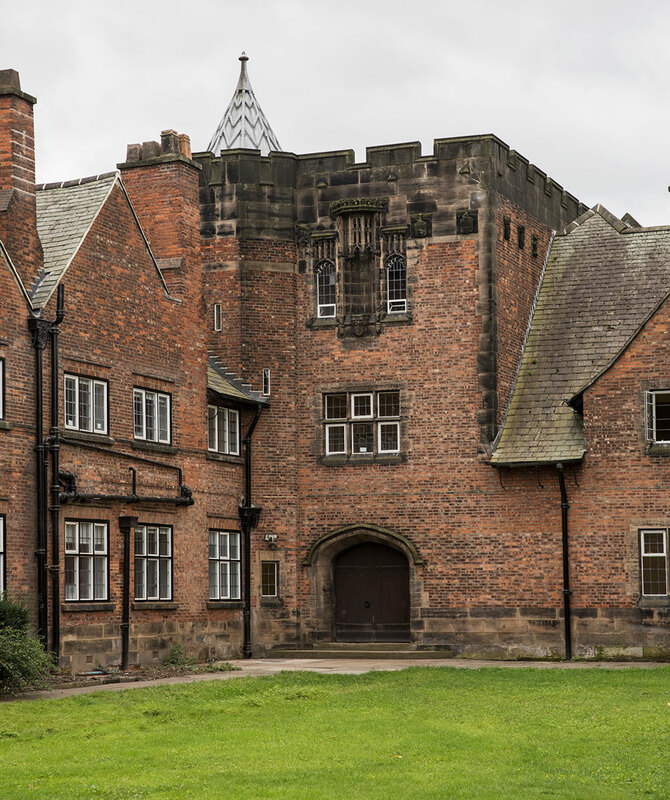 “Recom Solutions want to appreciate the work conducted by MC Construction and their contribution towards the completion of the works for the complete refurbishment and upgrade of Grade II Listed University halls of residence at Houldsworth Halls. This was a two-phased programme, due to the extensive time constraints and conservations issues that surrounds the project, over two summer periods at the University. Recom Solutions would like to congratulate you for ensuring that the project was executed successfully. We are confident that you will continue to provide your inputs and efforts for similar schemes in which we are involved in and we are looking forward to strengthening our continued working relationship with you in the future”. Jason McKnight, Director, Recom Solution Ltd.